The California Department of Justice has offered up a clarification regarding those who use an AB 60 license to try and purchase firearms. You see, those licenses don’t comply with the Real ID Act, which makes some firearm dealers nervous or something. I don’t know; it’s not an issue here in Georgia. But in California, it is, especially since these AB 60 licenses are also issued to illegal immigrants. 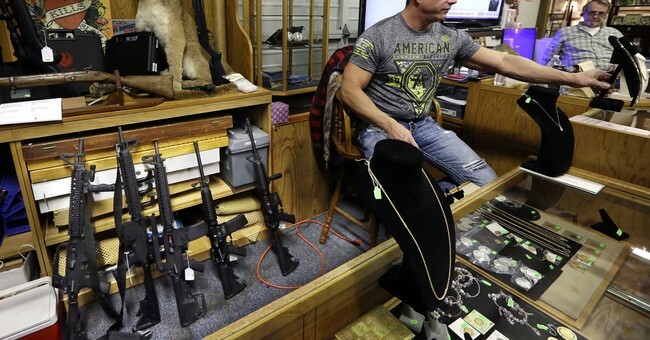 Because of that, the state’s Department of Justice issued a ruling on what kind of additional documentation firearms dealers may require. If you have a “FEDERAL LIMITS APPLY” driver license or identification card and wish to use it as identification to purchase a firearm, the dealer might require you to present proof that you are lawfully present in the United States. This is because federal law prohibits anyone who is not lawfully present in the United States from receiving or possessing a firearm or ammunition. provide proof to DMV of lawful presence in the country. Recently enacted state legislation (Cal. Stats. 2018, ch. 885, S.B. 244) prohibits certain “FEDERAL LIMITS APPLY” driver licenses and identification cards—those issued to persons who were not required to submit satisfactory proof of lawful presence in the United States—from being used as evidence of an individual’s citizenship or immigration status for any purpose. These driver licenses and identification cards are physically indistinguishable from other “FEDERAL LIMITS APPLY” driver licenses and identification cards issued to individuals who have provided satisfactory proof of lawful presence in the United States. To avoid surprises, you should check with the firearms dealer you plan to visit to verify the dealer’s identification requirements. Alternatively, you can obtain a REAL ID driver license or identification card, which would provide sufficient proof of lawful presence in the United States. Please note that beginning October 1, 2020, the federal government will require your driver license or identification card to be a REAL ID if you wish to use it as identification to board a domestic flight or enter military bases and most federal facilities. Information about REAL ID licenses and identification cards can be obtained from the DMV at www.dmv.ca.gov. Or, and here’s a thought, California could decline to license people who are in this country illegally. You know, just throwing that out there. After all, if no illegals had the licenses, there’d be far less concern over those licenses in the hands of other California drivers. Then again, since when did California do something that makes sense?